If you are one of those people who has a bit of knowledge regarding cars and engines and how they work, you probably know that oil is one of the most important components for your car’s engine in particular. If you aren’t one of those people, then you should know that oil is the lubricant which determines the overall life of your car’s engine. An engine of any kind, whether it’s a truck engine or a sports car engine, the working principle is the same considering they are either gasoline or diesel engines. You also know that oil and water never go together and thus, oil in the coolant reservoir is never a good sign and here is an article of what could happen if you have oil in the coolant reservoir and what you can do to prevent it. While oil helps to lower the friction between the internal parts and offer some cooling, Coolant is a dedicated cooling agent that actually keeps the engine itself cool and its overall temperature under control and that is why we call it the engine coolant. The coolant is poured into a car’s radiator which circulates the fluid around the engine from the outside, keeping the temperature under control and helping to keep the car from overheating. Even if you aren’t a car specialist, you would still probably know where to pour in the engine oil and where to pour in your coolant. But what if you open your coolant reservoir to either check the level or fill it up, and find that there is oil in the coolant reservoir? If you come across such a situation, your car definitely needs your attention as that is not a normal sign. These are the most common causes to why you may find oil in the coolant reservoir of your car. Let’s go into a bit of detail on each of the points to understand why it happens and how it can be avoided. There’s a rubber seal snugged right between the head and the engine block, in your engine which is called the head gasket. Its sole purpose is to provide an airtight seal as the head is fitted onto the block, meaning they are two different parts. 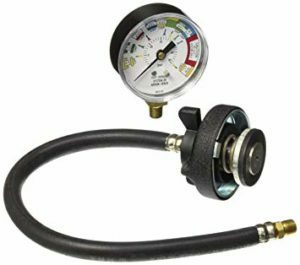 The gasket ensures that the air pressure for the combustion doesn’t like and the oil that’s in the engine doesn’t leak out. If an engine overheats and stays heated up for prolonged periods without the cooling, the head gasket blows up causing the oil leaking out into the coolant system. This is why some oil may be getting into the coolant reservoir. This may be the reason why you may get oil in the coolant reservoir. Replacement of the head gasket is often very expensive as you have to take the whole engine apart and I do recommend to check the other parts first. On a lot of modern cars, there is an oil cooler fitted on your car, which is cooled by the coolant. Sometimes a gasket or a crack could occur inside the oil cooler and it will cause the oil and coolant to mix up. This part is often much easier to replace and cheaper than a head gasket, it’s also a very common problem so I do recommend to check the oil cooler if you have one fitted to your vehicle. 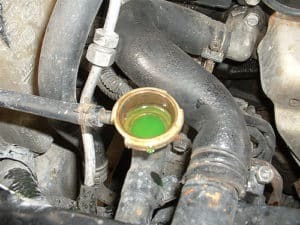 This is often causing the coolant to pour into the oil pan instead of oil in the coolant system. Heat can over time damage the cylinders, cracking them at certain places allow air and oil to leak out. The fix for this isn’t as simple and require you to change the cylinders. This may cost you depending on your car and your mechanic and definitely an expensive fix. Although this happening is comparatively uncommon, it can let the oil in the coolant reservoir as you drive. If you find cracks in your car’s engine block itself, unfortunately, you will probably need a new engine block. This is a case where the engine is usually lacking the proper oiling and cooling and due to the extreme and prolonged heat build-up, the engine block eventually cracks at points, allowing the residue oil in the coolant reservoir and other places. Fixing this would be the most expensive as one would need to completely replace the engine as rebuilding the old one may not be possible in most cases. Put 1.5 bar pressure with the pressure tool. Let it stand for 10 minutes. If it loses pressure during that time, you have a leak on your coolant system, it can both be an internal or external leak. Check for any external coolant leaks under your vehicle. If you can’t find any external leaks but still losing pressure, check the oil pan either with the dipstick or tap out the engine oil to see if you get any coolant in the engine oil. Remove the oil cooler if you have one fitted on your vehicle and inspect the gaskets and search for cracks. Replace it if it looks old and dry. Remove the head gasket and check for any damages. If you can’t find any damages or signs of oil mixing between the oil and coolant channels, take expert help to check for cracks in the head or the engine block. Why is the mixing of these liquids harmful for the engine? Coolant and engine oil are two completely different liquids and serve a different purpose which is why the two should never be mixed together. The reason behind it relies on both the liquids’ chemical properties. Oil is a thick viscous substance while coolant is water like. The engine relies completely on oil for lubrication which coolants and water cannot offer. That should make it clear that oil and coolant cannot go together. An engine is built up of lots of parts of different sizes, all working together to get your car moving. Those parts include camshafts, gears of different sizes, pistons, and bearings. Some of the parts like pistons and gears are tightly coupled together which create a lot of heat due to the friction when working against each other. To mitigate the friction and produced heat, oil is used. 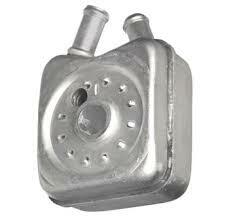 Oil provides the necessary lubrication between the iron parts and also acts as a cooling agent for these parts. That pretty much states the use of oil. A lot of heat is generated due to all the moving parts and that is where coolants come in to keep the heat under control.